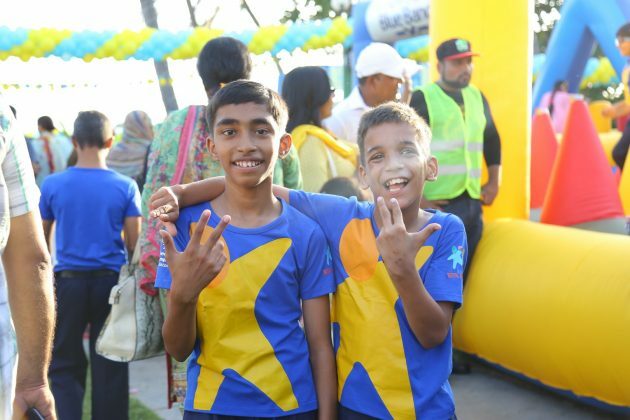 As part of the campaign, Blue Band Margarine, in collaboration with Special Olympics Pakistan, organized an event called ‘Both Buddy & Me’, held at Beach Luxury Hotel on the 17th of September. This event revolved around differently-abled children and other children participating in a race by teaming up with each other. This not only increased empathy between the two team members but also made for an exciting and progressive event. Founder Special Olympics Pakistan Ronak Lakhani was also present at the event and put forward, ‘This event has been a step towards spreading awareness. It helped us celebrate inclusion and spread the goodness. Achai Barhnay Do.’ Apart from the founder Special Olympics and the team of Unilever, several celebrities also graced the event with their presence. These celebrities included Shahroz Sabzwari with wife Syra Shahroz, Mohib Mirza with wife Aamina Sheikh, Mani and Hira, Faysal Qureshi, Zhalay Sarhadi, Adnan Tipu Shah, Shaista Lodhi and her contemporary Nida Yasir, YBQ, Sunita Marshall with husband Hassan Ahmed and several more.